Frost, one of the cats rehomed by Cats Protection from a former animal testing facility in the Republic of Ireland, stars as February in the official Cats Calendar 2018. 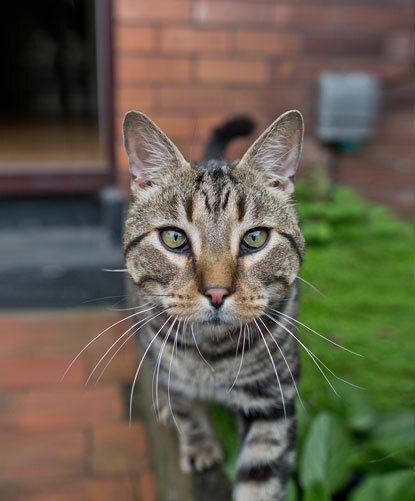 A total of 140 cats from the facility are being transferred in small groups by the ISPCA to Cats Protection’s Belfast Adoption Centre and so far 60 have been successfully rehomed. When news of the cats was featured in the local press, the centre was inundated with rehoming requests from the public, at one point leaving all of their pens empty during a thank-you tour for the charity’s sponsors. If you would like to get your paws on the official Cats Protection 2018 calendar you can order one from our online shop. So happy they are now safe and loved.